Following the Voka mission to China earlier this month, the City of Ghent, Voka and IMEC are organizing this business and networking event during which three speakers will share their vision on doing business and growing in China. In the past 30 years, China has become a global powerhouse and a major market for foreign companies. At the same time China is changing from ´Made in China´ to ´Designed in China´, focusing on innovation, upgrading of the existing economic sectors and high-tech. This means that the business landscape has changed dramatically. With a middle class of 300 million people, 800 million online and most patent applications now coming for China, foreign companies need to understand what this means for them, and what opportunities this creates. Sven Agten has been living and working in China since 2004. He speaks Chinese fluently and has extensive business experiences in China as he set-up joint-ventures, managed several foreign companies and has a large network among Chinese companies and entrepreneurs. Besides being a contributor in newspapers and magazines, he is also the author of ´Hoe maak ik het in China (Lannoo, 2017)´ and ´So schafft man China´ (Springer, 2018) which describes the economic and social trends, and business opportunities and challenges of the new China. He is also mentor at China Accelerator, China´s biggest start-up accelerator, and top investor globally. Peter Tanghe has worked in the high tech industry in China for 10 years as Managing Director for Accenture. He was responsible for transformation programs at private Chinese tech enterprises Huawei and Lenovo, and for the development of the go to market alliance between Huawei and Accenture. He has lived in Beijing and Shenzhen and has developed a broad local network. He is now working with tech scale-ups to develop partnerships for business development and product development in China, and splits his time between Ghent and Shenzhen. In his presentation, Peter will talk about tech innovation and partnering. Join us on May 8th in Ghent! This event is supported by Flanders Investment & Trade and the Flanders-China Chamber of Commerce. 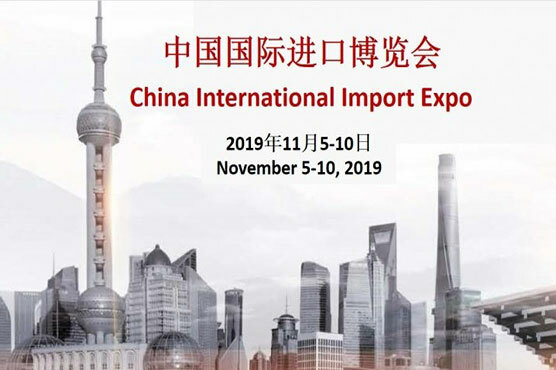 The first China International Import Expo (CIIE) was held in Shanghai in 2018. The names of the first batch of enterprises to participate in the second CIIE has been published as the 200-day countdown begins, according to the China International Import Expo Bureau. The Expo is set for November 5-10 in Shanghai. The planned Enterprise and Business Exhibition area will be 300,000 square meters and divided into five parts – equipment, consumption, healthcare, food, and trade in services. There will be seven display areas on science-tech life, automobile, equipment, medical equipment and healthcare products, quality life, trade in services, and food and agricultural products. The science-tech life display area will showcase AR and VR, and technology companies such as Panasonic, Samsung, Qualcomm, Bosch, 3M, SAP, Delonghi, Infineon, Steinway, Ricoh, SMEG, Schott, and AGC will display their products. Automobile exhibitors including Volkswagen, BMW, Mercedes-Benz, GM, Toyota, Hyundai, KIA, Ford, Tesla, and Volvo will bring their latest cutting-edge products. The new technologies in intelligent manufacturing, aerospace and robotics will be displayed at the equipment showing area, and exhibitors such as Hexago, Boeing and Bombardier will show their products. Newcomers such as GSK and Siemens Healthcare will display their new products at the medical equipment and healthcare products area with Roche, Novartis, AstraZeneca, Johnson & Johnson, Bayer, Philips, DH, Thermo Fisher, and Novo Nordisk. The quality of life exhibition area will display products for pregnant women, babies, and children, and high-end consumer goods. Enterprises such as L’Oreal, Unilever, P&G, Lego, Estée Lauder, Shiseido, Amorepacific, and Kao will set booths in the area. The signed exhibitors at the trade in services area are Deloitte, PWC, KPMG, Ernst & Young, UPS, DHL, CMA CGM, HSBC, and VALE International. The food exhibition area will be 60,000 square meters, showing dairy products, vegetables, fruits, meats, aquatic products, snacks, condiments, liquor and beverages, and the exhibitors will include Nestlé, Danone, Fonterra, Theland, Dole, Louis Dreyfus and Cargill, the China Daily reports. The organizers have decided to extend the exhibition for an extra 10 days after the completion of the official agenda. The number of daily visitors will be limited to 50,000. The exhibition area for companies will be expanded to 300,000 square meters, up from the 270,000 sq m last year. Medical equipment and healthcare companies will have more space this year, with an area set aside for elderly care and rehabilitation service providers. Up to now, about 70% of Fortune 500 pharmaceutical companies had signed up to attend this year’s CIIE. British drugmaker GSK and Siemens Healthcare will make their debut, and about 20 of the world’s top 30 medical equipment makers have agreed to attend. At the opening of the first CIIE last year, President Xi Jinping said that China is likely to import more than USD30 trillion worth of goods and USD10 trillion worth of services in the next 15 years as Chinese people continue to upgrade their lives. The value of orders and transactions at last year’s CIIE reached USD57.83 billion. A World Trade Organization (WTO) dispute resolution panel decided that China’s tariff rate quota system for rice, wheat and corn violated international trading rules. China’s Ministry of Commerce (MOFCOM) said that it “regrets” the ruling and that it would “seriously study” the decision. MOFCOM’s response is “a statement of acceptance” according to Tu Xinquan, Professor at the University of International Business and Economics in Beijing. “It’s not the first time that China has lost a case at the WTO and it probably won’t the last – for China, it’s not a big deal,” said Tu. 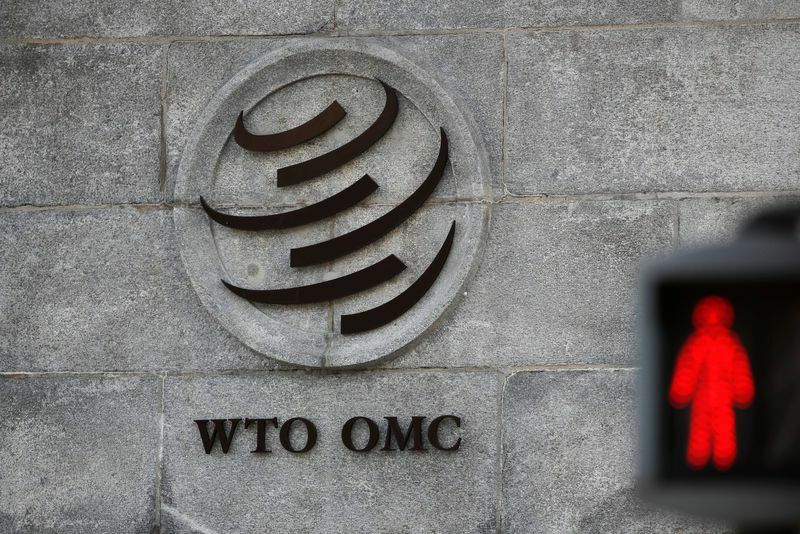 The WTO ruling came over two years after the administration of former President Barack Obama filed a complaint with the WTO. Meanwhile, current U.S. President Donald Trump has threatened to pull the U.S. out of the trade body and push for bilateral negotiations to fix problems. The U.S. is also seeking a wholesale overhaul of the WTO, including China’s role in the international trading system. In particular, the U.S. believes China should no longer be designated as a developing country that entitles it to favorable trade treatment. Professor Tu said China will not give up its status as the world’s largest developing country, but may be willing to shoulder more responsibilities in detailed international trade arrangements. “China is a developing country, but that doesn’t mean China can’t cut tariffs,” he said. China implements a tariff rate quota system for agriculture imports, meaning imports up to a certain quota are subject to a lower import tariff rate, while imports above the quota level are subject to a much higher tariff. For instance, the tariff for rice imports below the quota level can be as low as 1%, while that above the quota level can be as high as 65%. The same system is used by other WTO members, including Australia, Brazil, India, and the European Union. But on top of that, China has assigned most of the imports below the quota level to state traders, effectively preventing many private importers and foreign firms from importing rice for example. In 2018, China set import tariff rate quotas of 9.6 million tons for wheat, 7.2 million tons for corn, and 5.3 million tons for rice. However, China’s actual imports of wheat stood at 3.1 million tons, corn at 3.5 million tons, and rice at 3.1 million tons last year, according to China’s Ministry of Agriculture. The administration of former U.S. President Obama filed its complaint against China’s quota system in December 2016, saying it denied U.S. farmers access to the China market. U.S. Trade Representative Robert Lighthizer and Secretary of Agriculture Sonny Perdue welcomed the WTO decision as it is expected to allow U.S. farmers to sell more grain to China, the South China Morning Post reports. Shanghai’s Hongkou district has become the first area in the world with 5G connectivity, as well as a broadband gigabit network as China Mobile started trial operations. A total of 228 5G base stations have been deployed in Hongkou, making it the first district in Shanghai fully covered by a 5G network. The network is able to provide a peak single-user download speed of 1.6 Gbps, nearly 16 times faster than that of 4G. At the launch ceremony of the network, Vice Mayor of Shanghai Wu Qing made the network’s first 5G video call on a Huawei Mate X, the first phone with 5G capabilities. Zhang Jianming, Deputy Director of the Shanghai Commission of Economy and Informatization, said the city aims to build over 10,000 5G base stations by the end of the year, and the number is expected to exceed 30,000 by 2021. To support the development of the technology, Hongkou has launched a 5G Global Innovation Hub in the North Bund area. The hub will include exhibition, innovation, applications and promotion of 5G technology to make Hongkou and Shanghai an information technology highland, according to the district government. There are all together 4,500 shipping companies and 1,200 financial companies and institutions in the North Bund area, spread over 3 million square meters of office buildings. Hongkou will mainly focus on the 5G applications on smart health care, intelligent education, smart buildings, the Hongkou Football Stadium, smart communities, drone cruises, urban security, urban management, financial services, culture and sports, and other major fields. Hongkou-based companies and individuals are encouraged to take part in the coming 5G innovative application competition to develop a number of characteristic 5G applications and prepare for the commercial operation of 5G services. 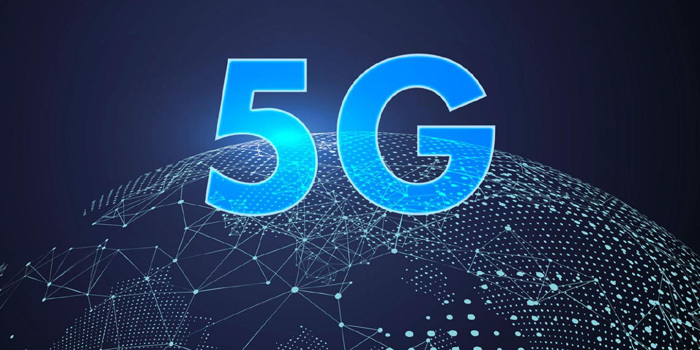 The 5G network is expected to provide solutions to industrial manufacturing, internet-connected cars, health care and city management. The Shanghai General Hospital and China Mobile have also announced a partnership on 5G technology for patient information transmission and communication. A Sino-Belgian incubator is also planned, the Shanghai Daily reports. Soon consumers will have access to the network with their current SIM card and number, but they will have to buy new 5G phones. Germany has no plans to block Huawei from participating in the buildup of its 5G ultra-high speed internet, Jochen Homann, President of the Bundesnetzagentur, Germany’s telecommunications regulator, told the Financial Times. He said that his agency did not have evidence that Huawei poses a security risk. Last month, the U.S. Ambassador to Berlin warned the German government that Washington would consider scaling back intelligence cooperation should Huawei be given a role in the 5G build out. The U.S. Federal Communications Commission (FCC) aims to block an application by China Mobile to enter the U.S. market as a “common carrier”, that would enable it to carry international voice traffic between the U.S. and foreign countries. It would not provide domestic telephone or mobile services in the U.S. The FCC said approving the application would raise substantial and serious national security and law enforcement risks. If the FCC rejects China Mobile’s application, the company can ask a federal court to review that decision. Russia recently launched an ambitious program to build new ports and other infrastructure facilities to increase cargo shipments across the Arctic, also known as the Northern Sea Route. In recent years the countries that border the Arctic have been eyeing the prospect of increased shipping and access to valuable natural resources. Moscow, which controls about 50% of the total Arctic coastline, has been stepping up efforts to develop the region. Russian President Vladimir Putin once described the Arctic as “the most important region for the future of Russia”. He told the International Arctic Forum in St Petersburg that Russia plans to expand its Arctic ports and welcomes foreign investment to help it do so. “The Northern Sea Route is very effective in terms of distance, but the weak point is the lack of navigation operating facilities. We need to equip the whole shoreline with special devices which can indicate how strong the ice is and other natural conditions,” said Russian Ambassador to China Andrey Denisov. To develop the route, icebreakers are needed, and besides Russia, China also has experience building those ships. Beijing started sending research and scientific expeditions to the Arctic in the 1990s and is the most powerful and significant newcomer to the region. According to the Northern Sea Route Information Office, eight of the 27 vessels that travelled along the route last year were from the state-owned China Ocean Shipping Co. Denisov said cooperation with China in the Arctic could be “long-distance and long-time”, and could include investment in navigation facilities as well as shipping and aircraft monitoring. In return for helping Russia develop the Arctic route, Russia would deliver gas to China. Ambassador Denisov told the South China Morning Post that negotiations over the supply of Russian gas through a route known as ‘Power of Siberia Two’ were at an advanced stage. “Almost everything has been completed so far but there is only one gap, which is the price,” Denisov said. “Price is the final detail but a crucial one and it’s quite natural in the discussion between seller and buyer – the seller wants the price as high as possible but the buyer wants to pay as little as possible. China as a buyer needs gas and a reliable long-term source. Russia is definitely that kind of source,” Denisov said. Work on Power of Siberia One, also known as the “Eastern Route”, is expected to finish on December 10 and be able to transfer 38 billion cubic meters of gas to China every year. Any deal concerning Power of Siberia 2, or the “Western Route”, could further strengthen the energy alliance between China and Russia.